The Garmin Descent Mk1 is the only GPS Dive Computer that offers more versatility for Your Diving Adventures. Earn up to 1950 Points. 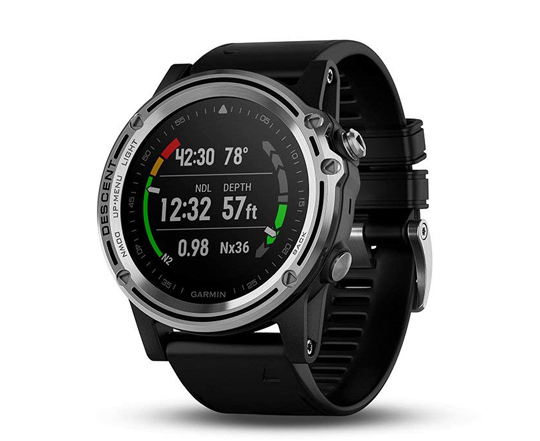 The Garmin Descent Mk1 is a premium full-featured dive computer with surface GPS in a sleek watch-style design; with bright 1.2” colour display and TOPO mapping. 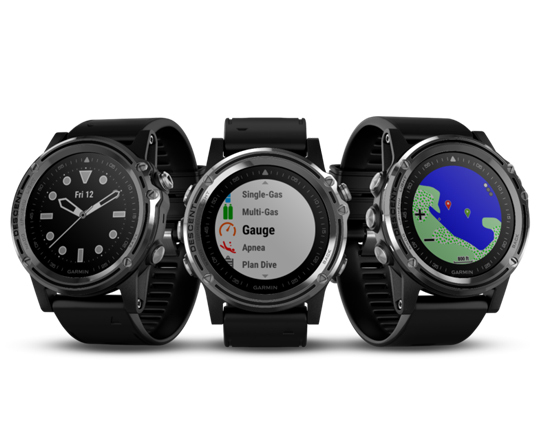 With it’s built-in sensors which include 3-axis compass, gyroscope and barometric altimeter as well as GPS and GLONASS capability that lets you mark your dive entry and exit points¹ for surface navigation. With the Garmin Descent Mk1 you can choose the type of diving you want with modes for single and multiple gas dives (including nitrox and trimix), gauge, apnea and, coming soon, closed circuit rebreather (CCR); plan your dives directly on the device. 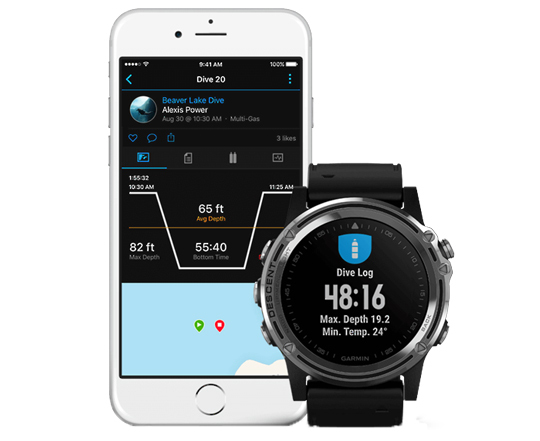 The dive log lets you store and review data from up to 200 dives — and share online via Garmin Connect™ which is included mobile app. Comes standard with a Sapphire display and available in Silver Sapphire with Black Band or Grey Sapphire with DLC Titanium Band. 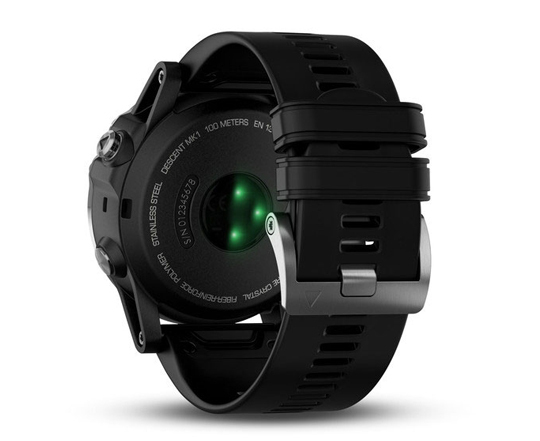 Charge It Up, Change It Up (Between charges, you can count on up to 40 hours of battery life in dive mode, up to 19 days in watch mode, up to 10 days in smartwatch mode and up to 20 hours in GPS mode (all depending on settings). QuickFit® bands let you tailor your wrist-worn style for any daily activity or special occasion — no tools required. And for diving, longer QuickFit straps are included for use over thick wetsuits or dry suits. 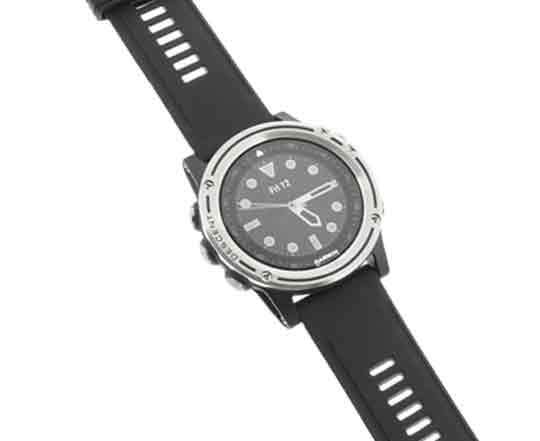 You can customize the watch display with free watch faces, apps and data fields from our Connect IQ™ store. For your safety, Connect IQ functions are not available while diving, so we can ensure that all dive capabilities are functioning as they were designed. 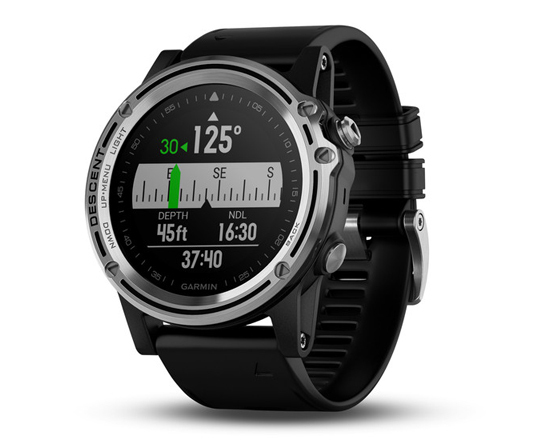 Both Descent Mk1 models are also Wi-Fi®-enabled, so each can connect to your wireless network and automatically send activity uploads for sharing on Garmin Connect.